TN'T (Trish N' Tom), first and foremost are soul mates. The two singers, musicians, and songwriters met as members of the soul-funk band Pryme Tyme. This dynamic duo is based in the Greater New York City and the surrounding areas. While their influences are many, the most significant influence would be the music of the seventies. The sound is an eclectic blend of soul, funk, rock, southern rock, jazz, house, hip hop and gospel. There are no gimmicks, it's simply good music. Trish and Tom Chappell (aka TN'T) have been recording as independent artist since 2003. Their first full length CD was entitled "Sweet Like Honey", followed by the award winning "Something Good" in 2006 and their third album “Don’t Let Go”(2014). In between albums they have released three singles, “Bet Your Money”, “Soul Music(The Remix)”, and “Today”. All of there music has been recorded at their own Light, Laugh, Love studio. Of course there're always inviting some of the funkiest musicians and producers on this planet over to bless the tracks. "Something Good" received an award for one of the best in the Nu Soul category at Soul-Patrol.com. While most of their work has been in NYC, Long Island and the surrounding areas, TN'T have played shows up and down the east coast of the U.S. Taking stages in cities such as Philadelphia,Pa., Charlotte, N.C., and Atlanta, GA. They've travel and performed abroad in the U.K. There have been stops in quit a few college towns, and a brief stint on Carnival cruise line in the Caribbean as well. TN'T along with their band have played a variety of venues, ranging from local clubs to major concert halls. The funky duo has a reputation of performing wherever there's an audience. This has afforded them the opportunity to hone their skills as live performers. Trish and Tom have worked as headliners and opening act at venues such as Queens Theater in the Park NYC, The Harry Chapin Amphitheater, Nassau County N.Y., Trinity Centre, Bristol U.k. and others. The funky duo has shared stages with The Persuaders, The Legendary Escorts, James D-Train Williams, Susaye Green, Michael and Regina Winans, Angel Risoff, Stephanie McKay, Julie Dexter, Michael Henderson, Nadir, Crown Heights Affair, Martha Redbone, SonnyBoy, the late great Stanley Turrentine and far too many others to mention. Trish N' Tom Chappell have worked extensively as songwriters, co-producers, vocalist, and musicians with legendary funk and dance producers Ray Reid and Kenton Nix (Heartbeat, Funky Sensation). Their music has received airplay on a number of radio stations both terrestrial and internet, in the U.S. and abroad. One of their songs "So Hard So Cold" was used as the introduction song for the STMS radio show AM1240WGBB Freeport,N.Y. Another song "Soul Music" was opening theme song for Soul Freedom Radio Cardiff U.K. "Soul Music" by TN'T was also chosen as the anthem for the Indie Soul Mixer held in Bristol, U.K.
On May 11, 2016 after a year and a half battle with brain cancer (GBM) Trish has made her transition. Though it was a difficult time doing her illness and even tougher after her passing. TN’T has regrouped and is in the process of recording new music and anxiously awaiting the premiere of their new video “Pray”. Tom is composing and working with director Joseph H. James Jr., along with composers Gil Small, Robin Small, Randy Wilson, Martin Caba and Monet Dunham on a Broadway bound musical. Losing Trish was has been tragic, but memory of her will drive TN’T to make even greater music. So, as it was so eloquently said by James Brown “What so ever it is, its got to be funky”. Feel free to visit TN'T(Trish N' Tom) at http://tritommusic.com. TN'T (Trish N' Tom), first and foremost are soul mates. The two singers, musicians, and songwriters met as members of the soul-funk band Pryme Tyme. This dynamic duo is based in the Greater New York City and the surrounding areas. While their influences are many, the most significant influence would be the music of the seventies. The sound is an eclectic blend of soul, funk, rock, jazz, house, hip hop and gospel. There are no gimmicks, it's simply good music. 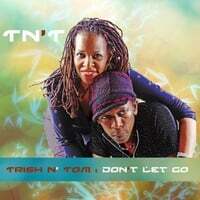 TN'T(aka Trish N' Tom) have been recording as independent artist since 2003. Their first full length CD was entitled "Sweet Like Honey", followed by the award winning "Something Good" in 2006 and their third entitled "Don't Let Go" coming in 2013. All Three albums have been recorded at their own Light, Laugh, and Love studio. "Something Good" received an award for one of the best in the Nu Soul category at Soul-Patrol.com. While most of their work has been in NYC, Long Island and the surrounding areas, TN'T have played shows up and down the east coast of the U.S. Taking stages in cities such as Philadelphia,Pa., Charlotte, N.C., and Atlanta, GA. They've travel across the pond to the U.K., where they performed at the Trinity Centre, Canteen and The Plantation (Bristol U.K). Trish and Tom have worked as headliners and opening act at venues such as Queens Theatre in the Park NYC, The Harry Chapin Amphitheater, Nassau County N.Y., Trinity Centre, Bristol U.k. and others. Trish N' Tom have worked extensively as songwriters, co-producers, vocalist, and musicians with legendary funk and dance producers Ray Reid and Kenton Nix (Heartbeat, Funky Sensation). Their music has received airplay on a number of radio stations both terrestrial and internet, in the U.S. and abroad. One of their songs "So Hard So Cold" is currently being used as the introduction song for the STMS radio show AM1240WGBB Freeport,N.Y. Another song "Soul Music" is currently being used as opening theme song for Soul Freedom Radio Cardiff U.K. "Soul Music" by TN'T was also chosen as the anthem for the Indie Soul Mixer held in Bristol, U.K. Currently TN'T are anxiously preparing for the release of their third independent CD. Trish and Tom have been blessed with wonderful lives. That's why they're dedicated to making sure they always create positive, feel good...soulful, funky music. As the late great James Brown said it so well, "What so ever it is, its got to be funky". Feel free to visit TN'T(Trish N' Tom) at http://tritommusic.com. Tom Chappell (aka TN’T Trish N’ Tom) is a musician, singer, songwriter and producer based in the New York City metro area. Tom spent his early years as a drummer in various local bands. He went on to form the indie soul duo TN’T(Trish N’ Tom). Though his roots run deep in southern soul, R&B and gospel music, his musical influences cross many genres. rock, southern rock, jazz, house, hip hop and country western have all help shape who he is as an artist and musician. Tom along with his soul mate Trish began making noise on the local New York City indie soul scene in 2003. They went on to record three LPs, “Sweet Like Honey”, “Something Good”, “Don’t Let Go” and various singles in between. Their live performances took them up and down the east coast of the U.S. across the Atlantic Ocean to the UK, as well as many local clubs all the way up until Trish was diagnosed with brain cancer (GBM). Trish eventually lost her battle with the disease. Toms’ music has been described as “mind expanding soul”. This perhaps is because of three essential components he includes in his music, those being, substance, soul, and it has to be funky. Tom is most known for his work with TN’T, but he has also worked extensively with notable songwriters and producers Kenton Nix and Johnny Ray Reid. Currently Tom is preparing the release of his new video “Pray” directed by Joe James and recording new music coming in 2018. Tom is also composing and working with director Joseph H. James Jr., along with Gil Small, Robin Small, Randy Wilson, Martin Caba and Monet on a Broadway bound musical. Yes, it was three years ago Trish was diagnosed with a rare form of brain cancer (GBM) and one and a half years since her transition. On May 11,2016 she lost a fierce battle with the disease. Having her by my side in so many battles I knew she was fearless, but the class, humor and bravery she displayed during her time of illness blew me away. It’s been a very difficult period for our family. Our time together in life and especially her last year and a half was so precious. There will be memories forever. You see Trish was many things to many. She was sunshine, a comedian, always laughing and always looking up. To me she was my very best friend, my wife, business associate, the Trish in TN’T(Trish N’ Tom), my partner at tritommusic.com. Trish was a daughter, sister to her siblings, an aunt to her many nieces and nephews, a niece to her aunts and uncles, a godmother, a daughter-in law, sister-in-law. Trish was a friend and confidant to others. She was a super talented vocalist, oh and I never knew anyone who could out dance her. She was an asset to the community we live in, faithful to God and the church she attended. The list goes on forever. Yes, Trish was a superstar as one half of TN’T(Trish N’ Tom), but she was also a superstar in life. It was a privilege and honor to have been her primary caregiver. This is truly a loss that is not easy to recover from. However, I’m so thankful to have had her in my life even if for just a season. I find comfort in knowing that her time on earth was well spent. She touched the lives of everyone she crossed paths with. Trish made all of us feel special. We have begun to move forward, live, enjoy and love life as Trish would have wanted. No one loved life as she did. TN’T will continue to write and record great music and do so in memory of one of its founding members Patricia Marie Jackson-Chappell (aka Trish). We are currently recording new music for 2018 and have just finished shooting a new video for our song “Pray”. In addition, we are working with director Joseph H. James Jr., along with composers Gil Small, Robin Small, Randy Wilson, Martin Caba and Monet Dunham on a Broadway bound musical. Hopefully we’ll see you at some live shows in the future. We encourage you to visit us at www.tritommusic.com, though there will be changes there are plenty of memories. As always feel free to holla. Trish has gone to heaven to be one of Gods greatest singing angels. Her spirit shall forever live. However, we’re not done, the headline reads “To Be Continued”. © 2019 TN'T (Trish N' Tom). All Rights Reserved. Powered by HostBaby.